Ang ganda ng gising ano? 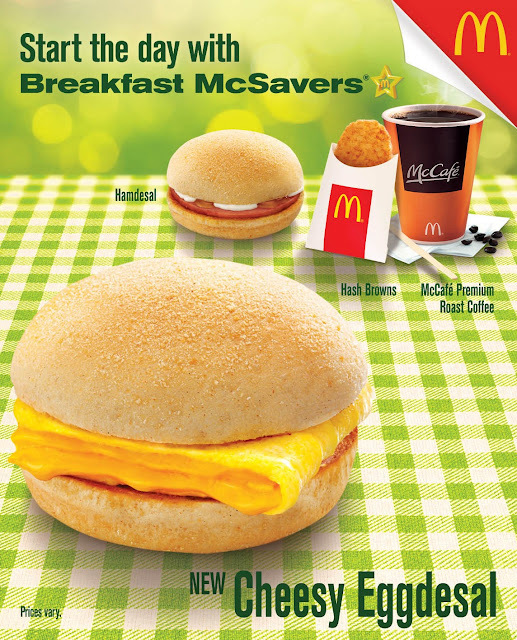 It's a holiday today and who would have not have a beautiful morning if you'll receive an early delivery from McDonald's? 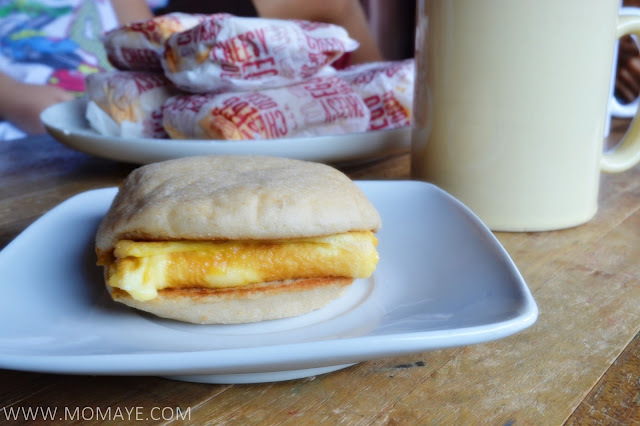 The all new Cheesy Eggdesal is a perfect combination of fluffy folded egg and melted cheese in between warm pandesal buns. 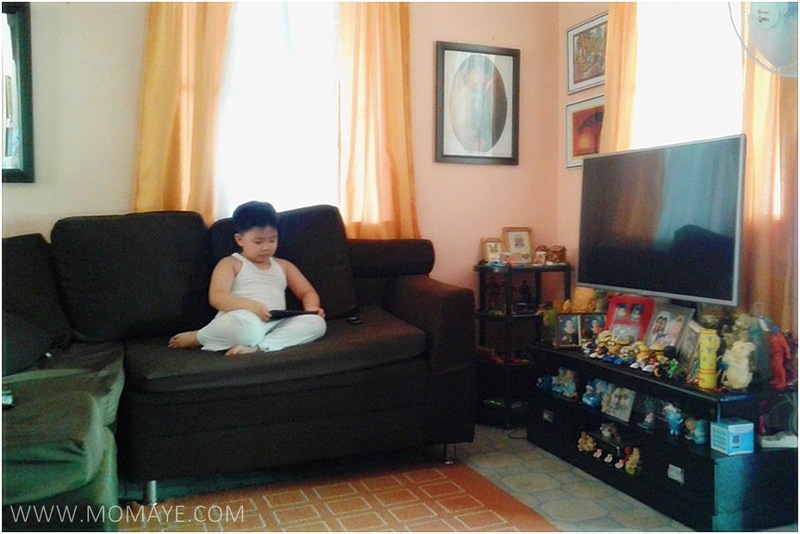 Our little boy who was sick last night, immediately woke up from sleep when he heard me saying Mcdo delivery is here. Biglang nawala ang sakit at sumpong. So we had our early breakfast. Picnic at the terrace daw gusto nya. He can't get enough of this Cheesy Eggdesal. Daddy too can't get enough of the Cheesy Eggdesal. Our little boy said, "Sana po Mommy lagi may McDo delivery." Wish ko din yan anak, hehe. 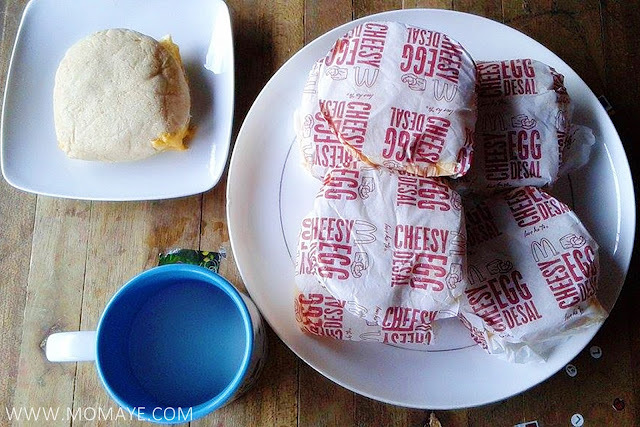 Truly it's always a beautiful morning with ‪#‎McDoBreakfast‬ ‪#‎CheesyEggdesal‬. So what are you waiting for guys. Make your mornings beautiful too. Go to the nearest McDonald's or pa-deliver na kayo. 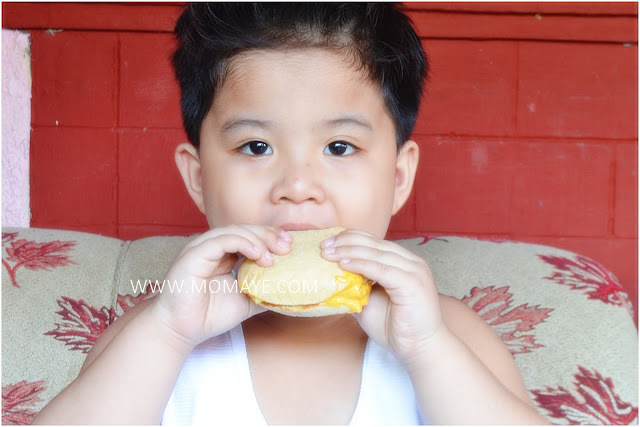 Share your breakfast experience on our Facebook page,www.facebook.com/McDo.ph, or tag @McDo_PH on Twitter or Instagram with the hashtags #McDoBreakfast and #CheesyEggdesal. P.S. : Free McMuffin on March 14 for National Breakfast Day. So wake up early and head over the nearest McDonald's breakfast stores, starts at 6AM. 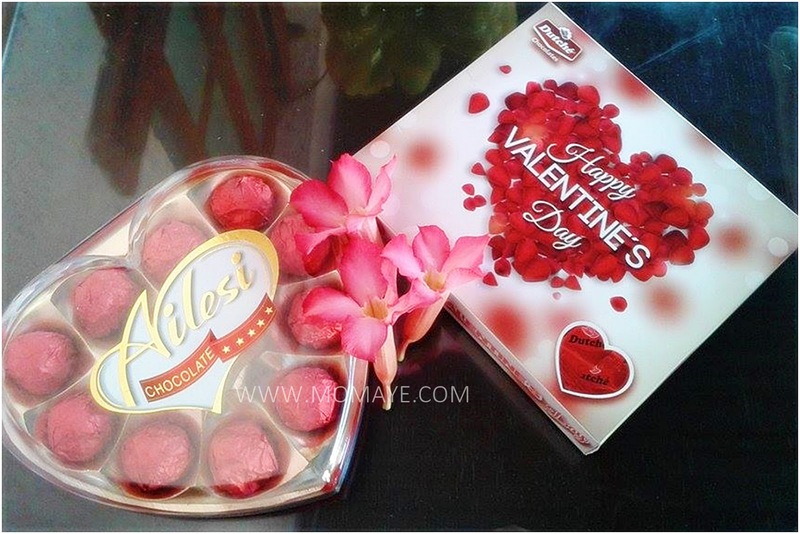 Since the Love Month is not yet over, pwede ka pang humabol ng gift for your special someone. And where is the perfect place to look for hearty gift ideas for the love month? 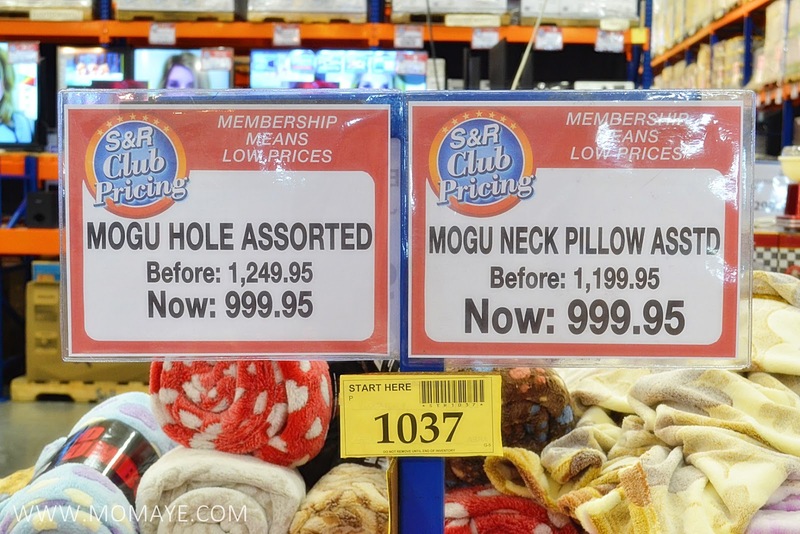 Of course only at S&R Membership Shopping. Aside from good quality products, you can save a lot talaga because membership means low prices! O sya, let's go and find the perfect gift! Oh there are lots of Plush Valentine Toys! 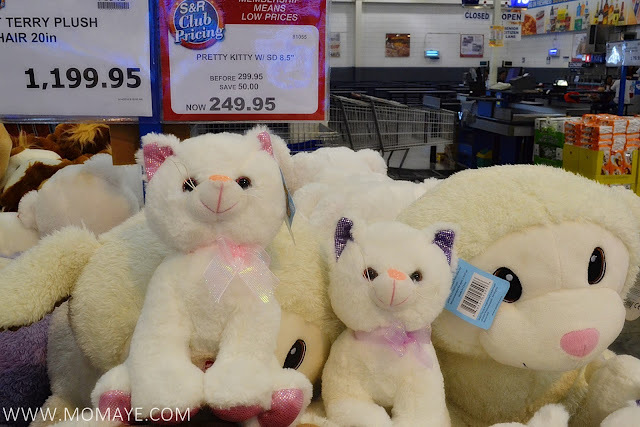 For girls, I am sure they will love to receive any of those cutie toys! Here are my picks. 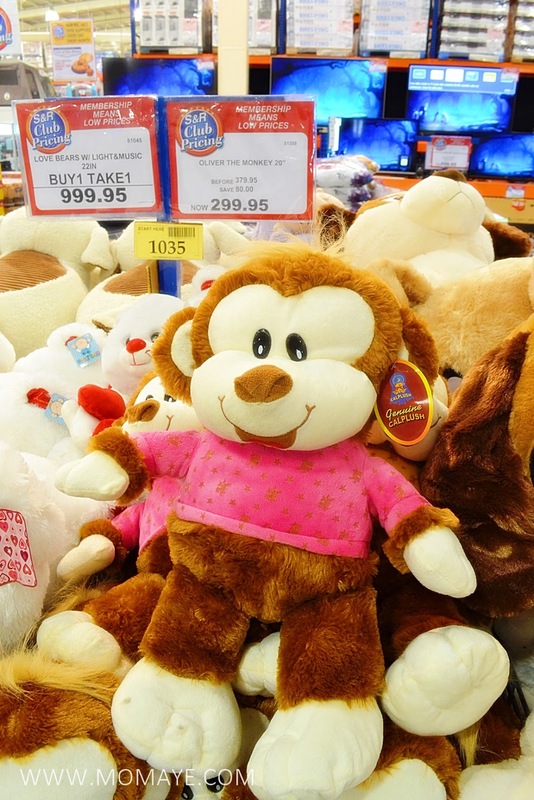 This 20in Oliver Monkey at 299.95 pesos is love! I also like this 8.5in Pretty Kitty with sound at 249.95 pesos only. Oh look there are so many toys pa pala. 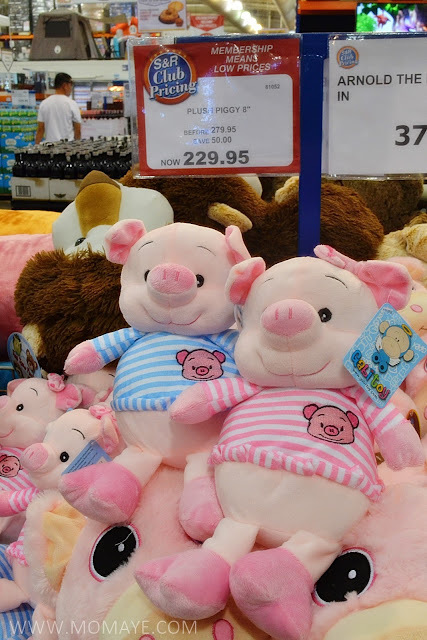 Matchy matchy lang this Pink or Blue 8in Plush Piggy at 299.95 pesos only each. 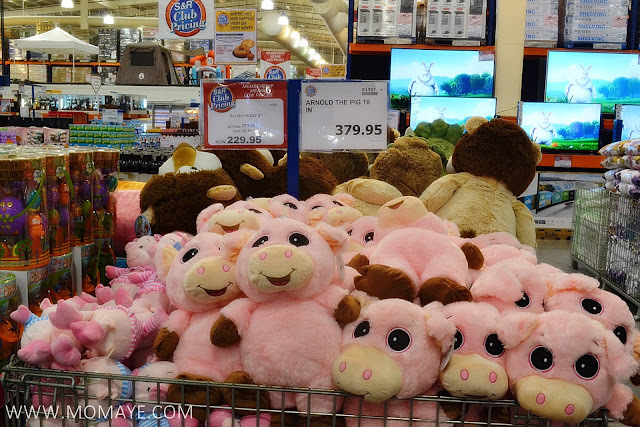 There are big stuffed toys also, as in big talaga! 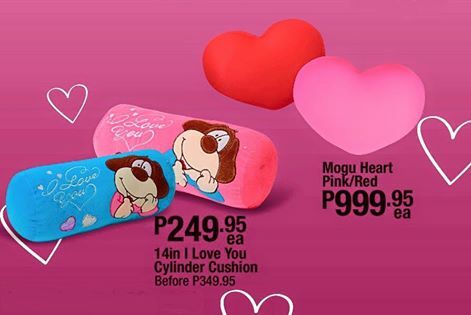 For boys naman, pwedeng pwede itong 14in I Love Yoy Cylinder Cushion at 249.95 pesos only. 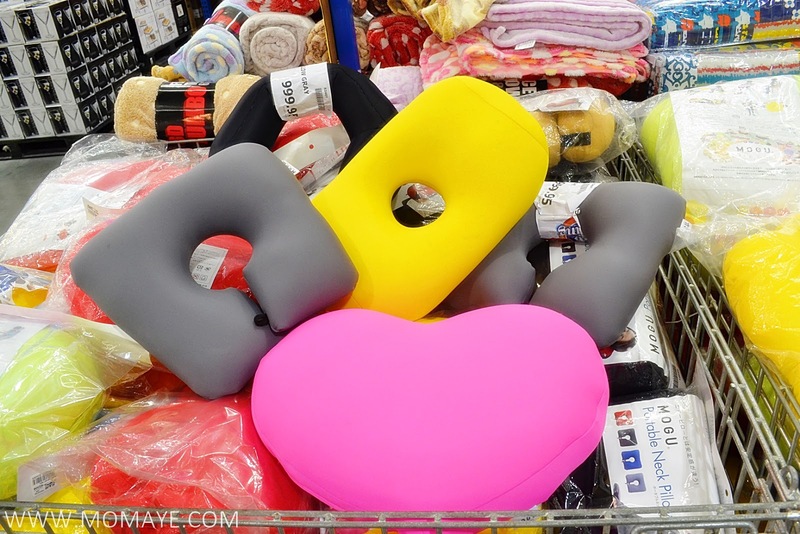 That Mogu Heart Pink/Red at 999.95 pesos only is so fluffy. Look super soft, ang sarap hawakan at hakapin. Sale ang Mogu Hole Assorted and Neck Pillows at 999.95 pesos only. 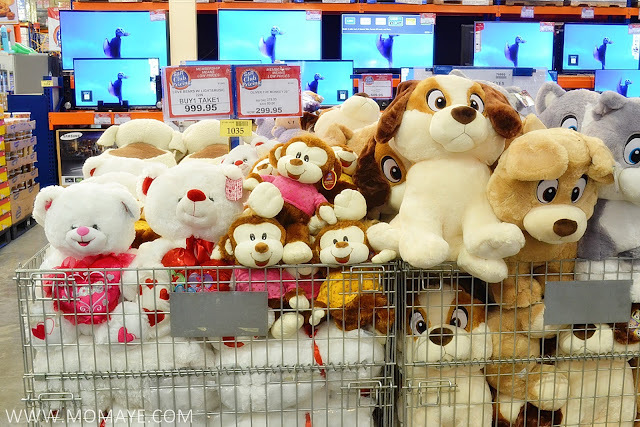 Nakakatuwa, I want to buy them all kasi super fluffy talaga! Just like these Mogu Flowers Pillows at 1,349.95 pesos each. 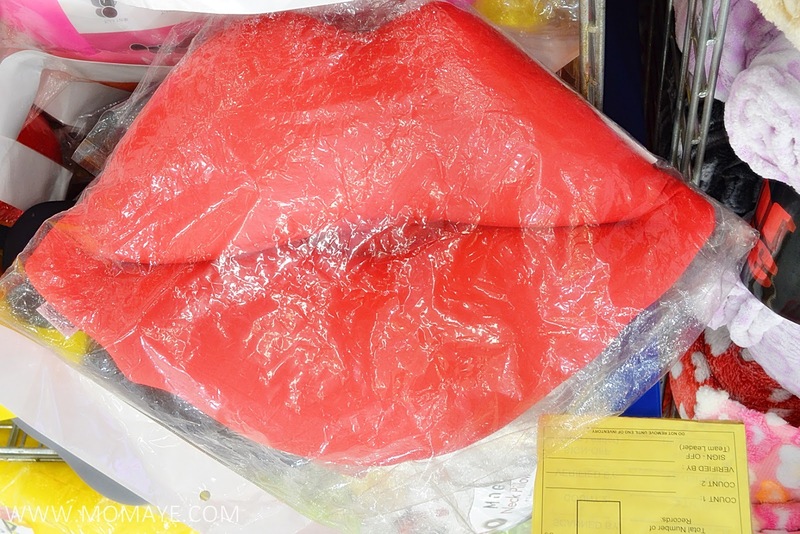 How about a lips as big as this Mogu Lips Pillow at 999.95 pesos only. Still can't decide what gift to buy? 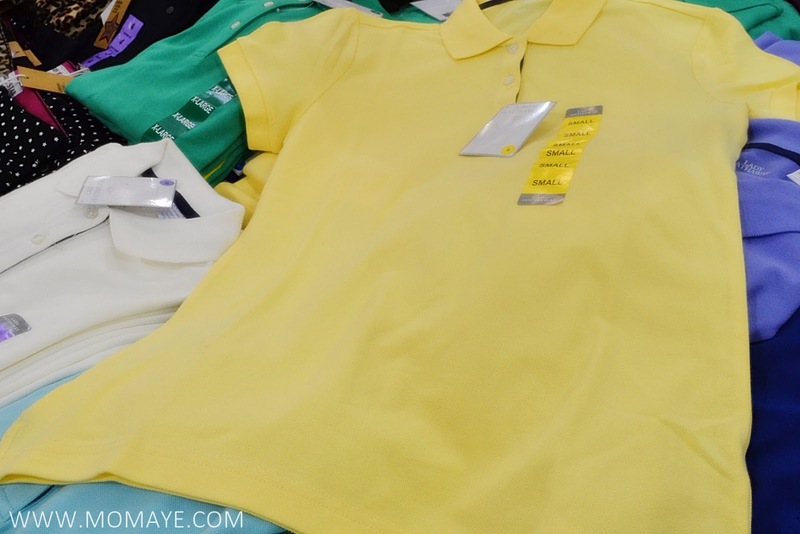 Here are matchy cotton polo shirt for his and her. 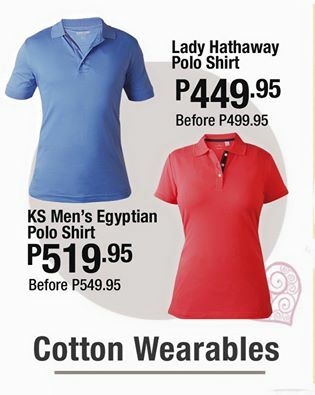 The KS Men Egyptian Polo Shirt is 519.95 pesos only and this Lady Hathaway Polo Shirt is 449.95 only. 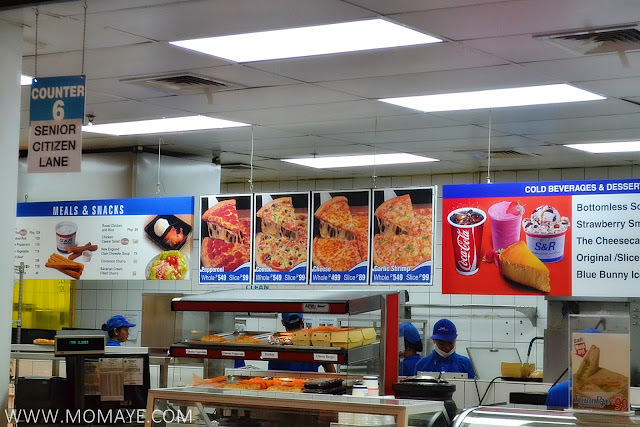 And guys don't forget to take your special someone with you and dine in at S&R New York Style Pizza. For sure, mawawala ang tampo nya hehe! Ooops, the sports and fitness gears are still available ha. 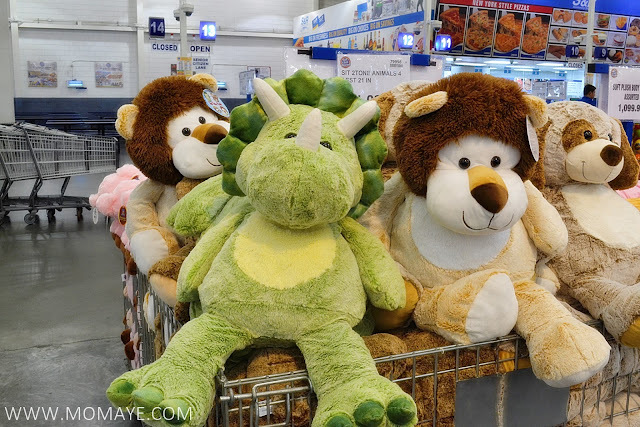 There are so many delightful gifts you can only find at #loveSnR. 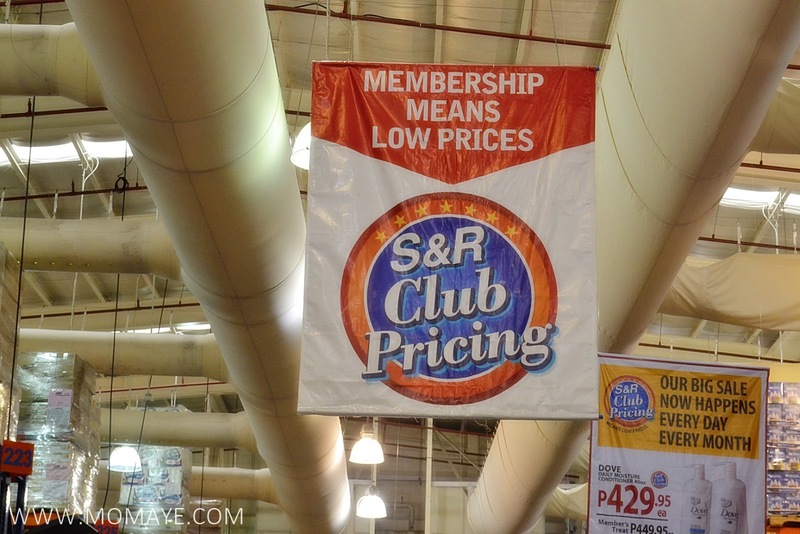 At S&R, you wouldn't want to go out na and will wish you have all the time and money to shop, haha! Looking forward to another S&R visit maybe next month Daddy A? I am a full time working mom. 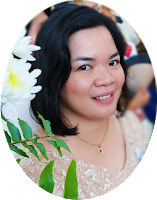 We have a house help/nanny who is looking after my son and my mother. I entrust my son and my mother to her but honestly, I don't trust her that much especially with material things. How come I can leave the two most precious people in my life with her but I don't trust her fully? This is the irony my life. Made me realized that am I already giving more importance on material wealth than the people in my life? Just now, I am questioning my self if leaving my son and my mother everyday is worth the money I am earning. No, no amount of mother is worth them. But this is the situation I am into today and I trust God He will lead me to where my heart is. And that is home where the people I love so much are. To all working moms like, if your child will ask you this, what will you tell him/her? Why I Love Online Shopping? I love online shopping. I can say that I buy online more than I buy at physical stores. So why I love online shopping? Here are reasons why I love online shopping. I can definitely save time doing online shopping. Because I can do online shopping even I am at work or at home. With just a couple of clicks, my shopping loot will be delivered right in front of our door. A great advantage for a working mom like me. No traffic, crowd and long lines. Just like what I have said, I can do online shopping at the convenience of our home. I do don’t need to battle traffic going to mall, especially during holidays or sale season.. I can avoid crowds and don't need to endure standing and waiting in a long line. 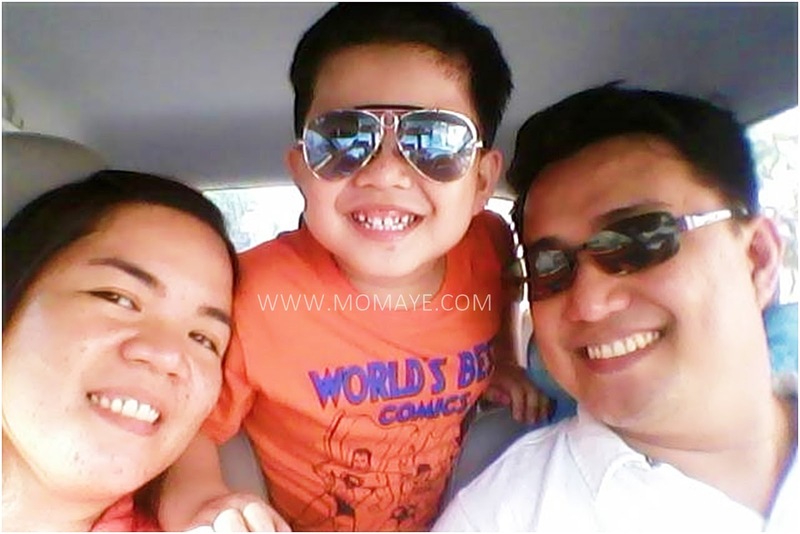 You know naman that time is very important for us moms right? So I really hate waiting tapos standing pa.
With online shopping, comparison of prices is very easy, thus allows me to get the best buy products. 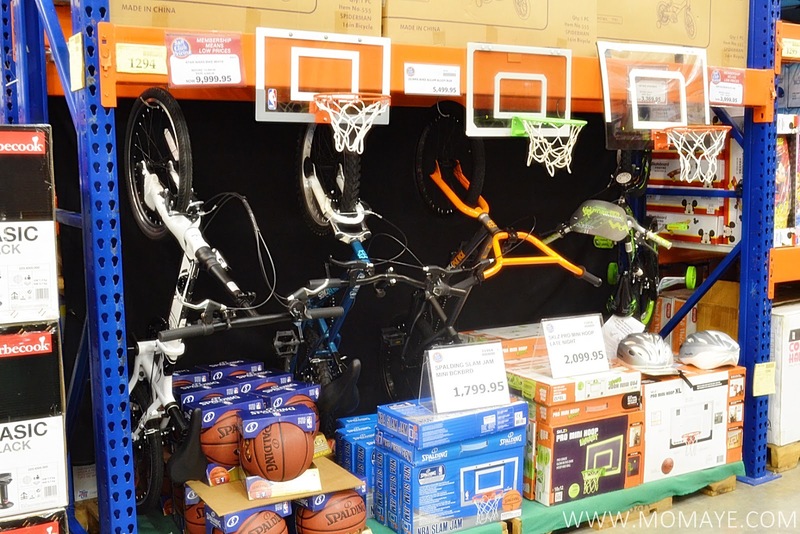 Unlike when buying at physical store, it's tiring to go from one aisle to aisle to another to scroll down the prices. Minsan pa nga, the price tag is not the same price when the product is punch in at the cashier. If you complain naman, it will take time again. I can get great deals as well a better prices when shopping online. That’s because most of the products come directly from the manufacturers. 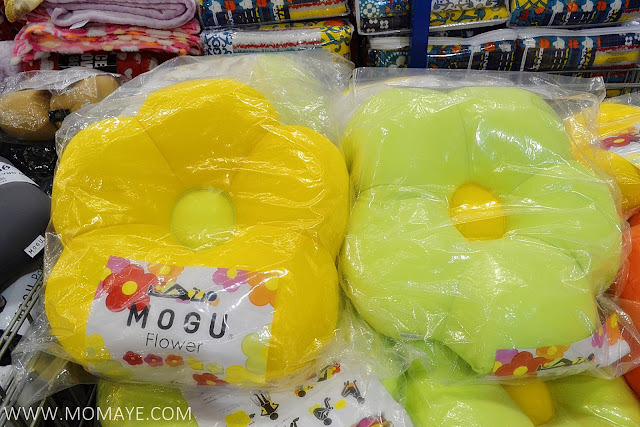 You can get up to 80% off! Also, many online shopping sites offer discount coupons and rebates or cashback. Speaking of great deals and discounts, I get big discounts with sweet sales at ZALORA! Since my first Zalora experience, Zalora has been one of my favorite and trusted online shopping sites. By the way, for new customers you can use the discount code below to get 15% off storewide when you purchase at Zalora. Variety of products and brands to choose from. I can find variety of products and brands at one stop shopping online site unlike. I can also shop from retailers in other parts of the country or abroad for the latest trends without spending money on travelling. Very convenient talaga hindi ba? Shopping sites are open and available 24 hours a day, 7 days a week. Giving me the ability to shop at my own time and pace. 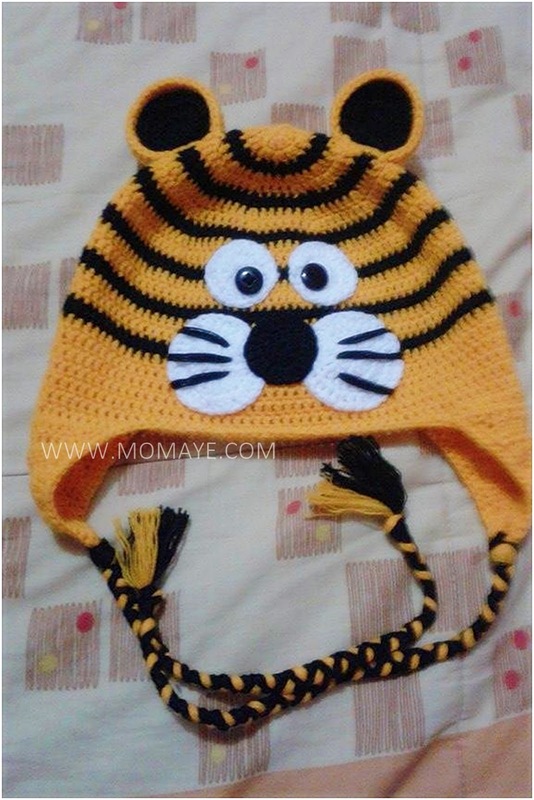 So I can do online shopping even in wee hours when I am done with my mommy duties. Online shops offer many payment mode options. You can pay via credit card, bank transfer, remittance or the cash on delivery option. I usually pay via Paypal or COD. Those are the reasons why I love online shopping. Aside from those, I can say I almost always have smooth transactions. Fast delivery and free shipping pa for a minimum amount purchase. Great savings right? Just make sure you transact with trusted online shopping sites, retailers and sellers. Daddy and I have been married for almost 8 years, and been in a relationship for almost 13 years now. Our love story started from friendship more than 20 years ago. Ang tagal na ano? 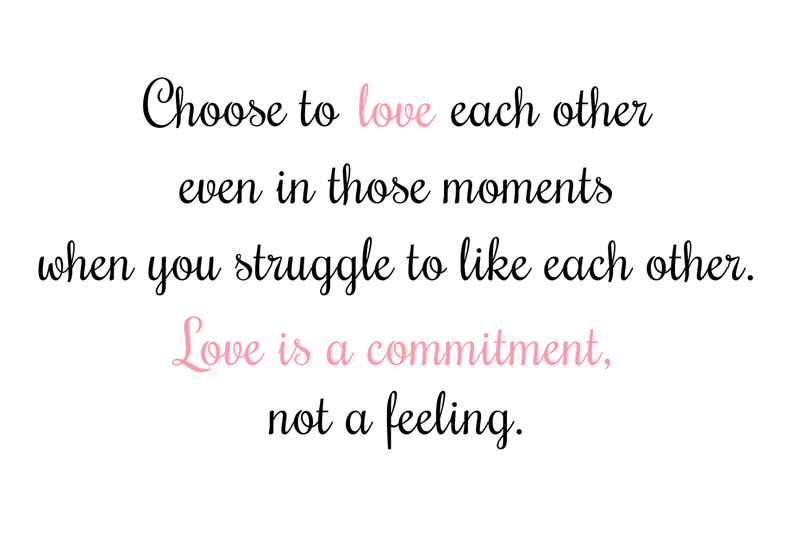 But even the fact that we started us friends and we have known each other that long, there are still struggles in our marriage. There was time that I almost gave up but still choose to hold on because I realized ours is worth fighting for. Today, let me share these best marriage advice from unknown author. I have seen this post circulating on Facebook but only now that I got a chance to read, and I find it worth to share. Always answer the phone when your husband/wife is calling and when possible, try to keep your phone off when you’re together with your spouse. In every argument, remember that there won’t be a “winner” and a “loser.” You are partners in everything so you’ll either win together or lose together. Work together to find a solution. Be patient with each other. Your spouse is always more important that your schedule. Always wear your wedding ring. It will remind you that you’re always connected to your spouse and it will remind the rest of the world that you’re off limits! Connect into a community of faith. A good church can make a world of difference in your marriage and family. with God in the middle of it. Never consider divorce as an option. 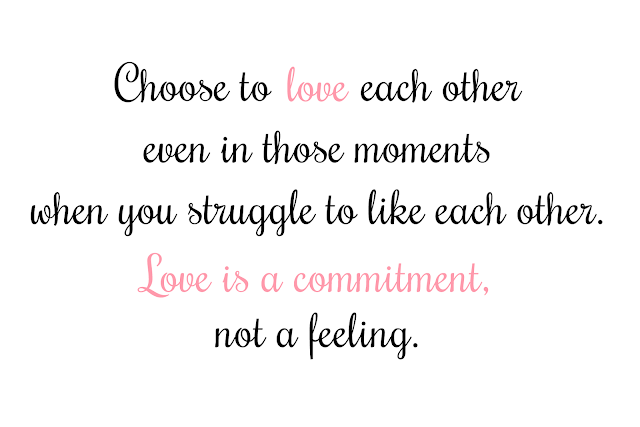 Remember that a “perfect marriage” is just two imperfect people who refuse to give up on each other! You may see us as a perfect couple but no, we are not and will never be because there's no perfect relationship naman. Sabi nga hindi lahat ng nakikita ay totoo at dapat paniwalaan. Every relationship has its hidden flaws. It's up to you if you want to bring it out in public or work it out in private, just between the two of you. Kaya huwag maiingit sa iba :) Instead of looking at others relationship, work on your own relationship to make it better and last until forever. Always remember to be patient, be always there to listen and to be a bestfriend to our lifetime partner. As always, we had a simple celebration of Valentine's Day. We don't have fancy lunch or dinner but it was a joyful day because of the people I spent with. Let me start with this early surprise from my two boys. The chocolates are from Daddy while the three calachuchi flowers are from Matthew. 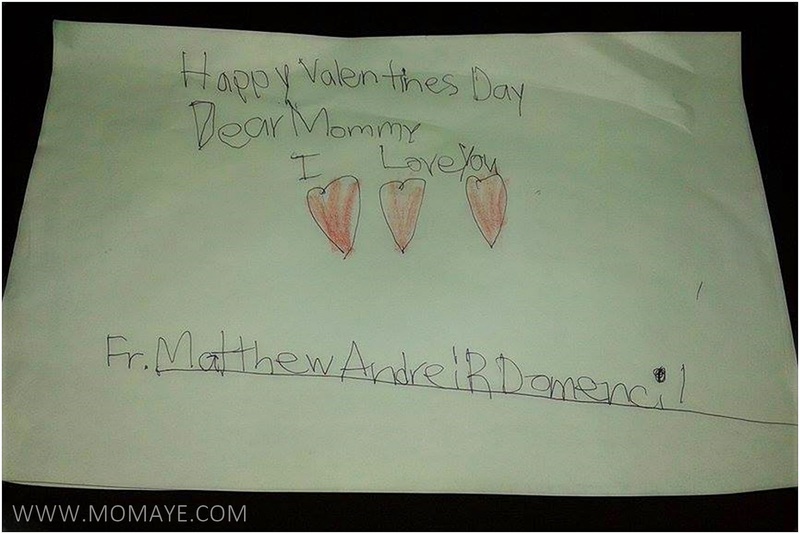 Actually, I asked flowers from Matthew. He said he have no money to buy but he will pick up flowers for me daw. So when he rose from bed, he immediately went outside to get those flowers. He even said when he's working an daw he will buy me flowers, cellphone, bag, etc... Oh, I almost forgot, he gave me this pala a week before Valentine's day. So sweet of him. Those are simple gifts but these already made my day. I am so blessed to have two wonderful boys in my life. 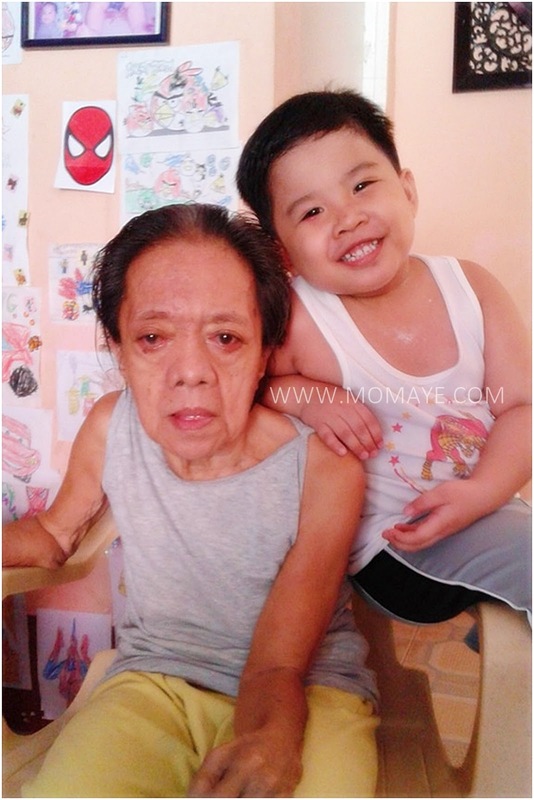 And of course, I have my Nanay who's always been my inspiration. I am always thankful because God keeps her safe and healthy. I am lucky to still spend my everyday with her, taking care of her and showing her how much I love her. Moving on, because Valentine's day fell on a Sunday, it's a house chore day for me. Kuracha lang ang peg. Alam nyo naman mga Nanay, wala talaga kapaguran yan. Linis dito, ligpit doon kapag nasa bahay. Nataon pang nagday off ang aming kasama. Thank God, my two boys are always a big help for me. Ooopss... This was after our breakfast and this was our conversation. Mommy: Anak maglinis ka kaya muna bago ka magtablet. 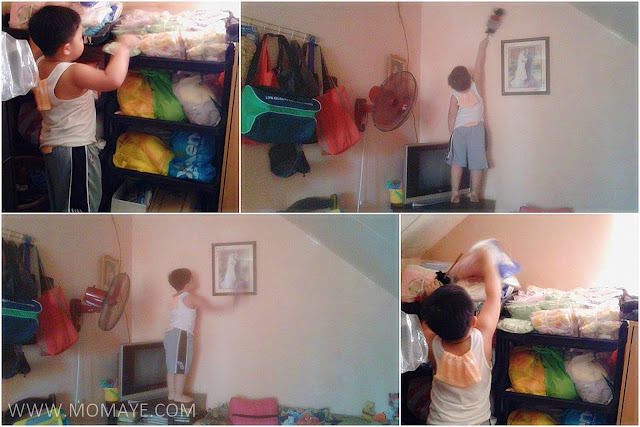 Matt: E nagpapababa pa po ako ng kinain e.
May tama naman sya, kakain nga naman e. After that naman, he volunteered to help me clean our bedroom. Then came lunch, I prepared this. So we can go on with our late afternoon date. Ang gwapo ng dalawa kong ka-date ano? 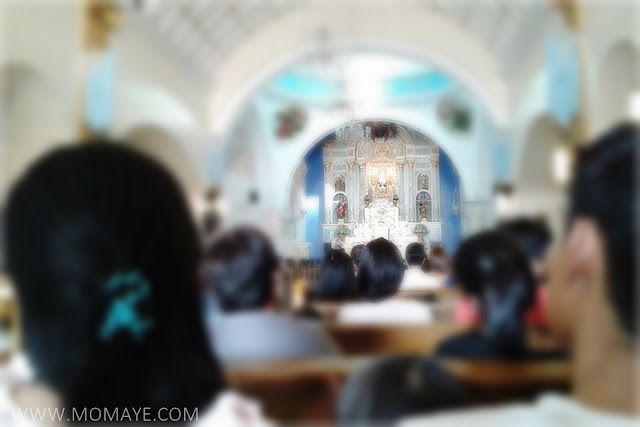 But before anything else, we went to His home to give thanks for everything He's giving us. We went to the park kaya lang puro tiangge pa din naman. I asked Matthew what he wants, he said sundae. That's how our date went, simple lang. 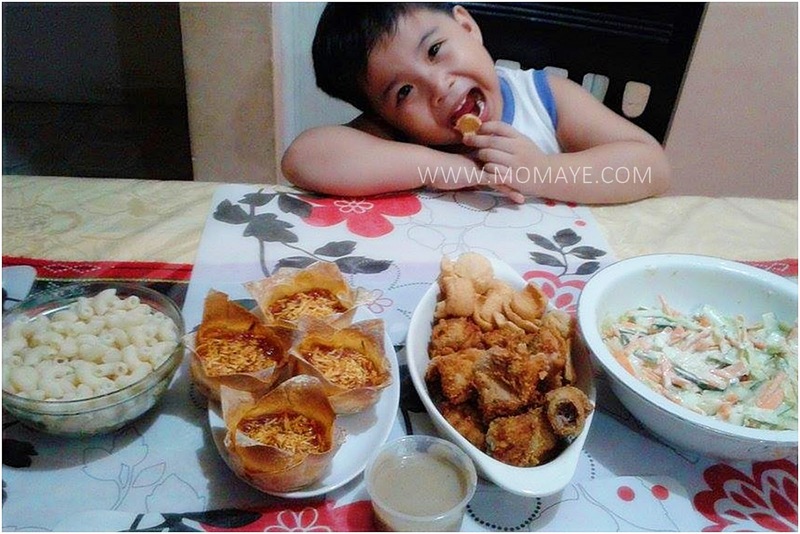 Happy na kami, happy na si Matthew. We went home na after buying some ingredients for our dinner naman. 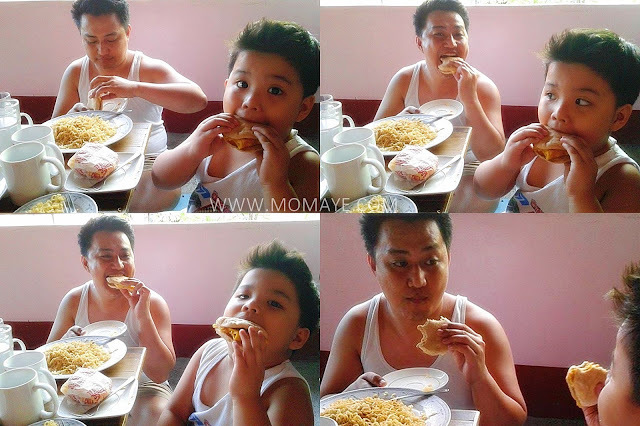 Dahil ako naman ang nagluto ng lunch and I'm busy studying with Matthew, si Daddy naman ang nagprepare ng dinner. Matthew can't wait to have dinner na. Haha! That's our simple Valentine's day celebration. Sabi sa inyo simple lang kami magcelebrate but we see to it we enjoyed the day. The Ajinomoto Umami Culinary Challenge (UCC) was attended by thousands of HRM and Nutrition students last January 30, 2015 at the Philippine Trade Training Center. Over 300 students-competitors dished out hundreds of culinary masterpieces with each one striving to depict the importance of “umami deliciousness” in healthy cooking. UCC Student-Competitors in Action during My Own Umami Creation Competition. The panel of judges is a great mix of technical experts from the culinary and nutrition fields like Celebrity Chefs Gene Gonzales, Sau del Rosario, Eugene Raymundo, Philippine Association of Nutrition (PAN) Board Member Dr. Imelda Agdeppa, Nutritionist-Dietician Association of the Philippines (NDAP) President Dr. Adela Jamorabo-Ruiz and Food and Nutrition Research Institute Scientist Maria Jovina Sandoval to name a few. Food entries that landed the top spots showcased the creative use of fresh ingredients to make nutritious and delicious meals. Year after year, Ajinomoto thoughtfully put together a great program to tickle the minds and taste buds of culinarians and food lovers. The whole UCC experience can be described as a full-day event punctuated with fun and exciting learning activities. Aside from the culinary competitions, Umami Coaches from 23 schools and their students presented actual executions of the My Eat Well, Live Well.® Plate to promote the proper balance of healthy carbohydrates, good quality protein and vibrant-colored vegetables and fresh fruits in a food plating contest. 11 schools teams also prepared healthy beverage concoctions to the tune of danceable mash ups songs during the Aminomazing Showdown, which features the beneficial amino acid content of the new “amino Fres-C” Instant Juice Drink Mix. My Umami Coach and I prepared My Eat Well, Live Well® Plate to promote proper balance of healthy carbohydrates, good quality protein and vibrant-colored vegetables and fresh fruits in a food plating contest. Dr. Kumiko Ninomiya, Director of Umami Information Center in Japan and Dr. Celeste Tanchoco, NDAP Board Member were invited to explain the science behind umami and the amino acid - glutamate. These food science presentations proved to be helpful in understanding the role of umami in food and nutrition and its relevance to the culinary professionals around the world. A Spread of Umami Ingredients and well-loved Ajinomoto Products at the Ajinomoto Tablescape. Kathryn Bernardo, Teen Queen and AJI-NO-MOTO® Brand Endorser, personally congratulated the event participants for their drive and passion in trying to fulfill their dreams of becoming future chefs. Kathryn shared her fascination in each team’s potential to make it big in the culinary industry. Kathryn Bernardo with her new kitchen Best Friend – AjiPanda™. 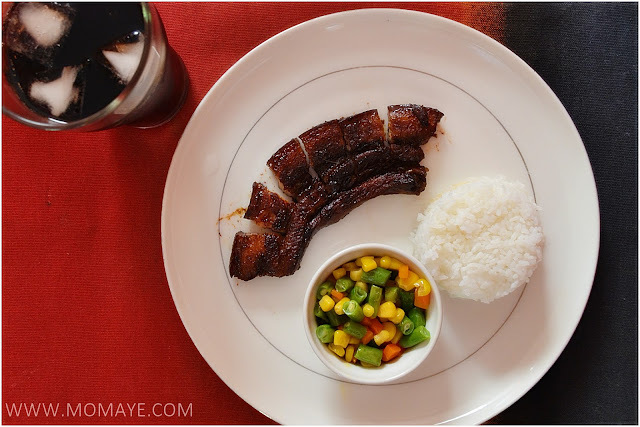 Visayas’ contingent Hercor College won big after landing first place for 2 National Cooking Showdown competition categories - Best Filipino Umami Dish and My Own Umami Creation. Ajinomoto Umami Culinary Challenge (UCC) is presented by AJINOMOTO PHILIPPINES CORPORATION in partnership with La Germania, Solane, Fujidenzo and Masflex. 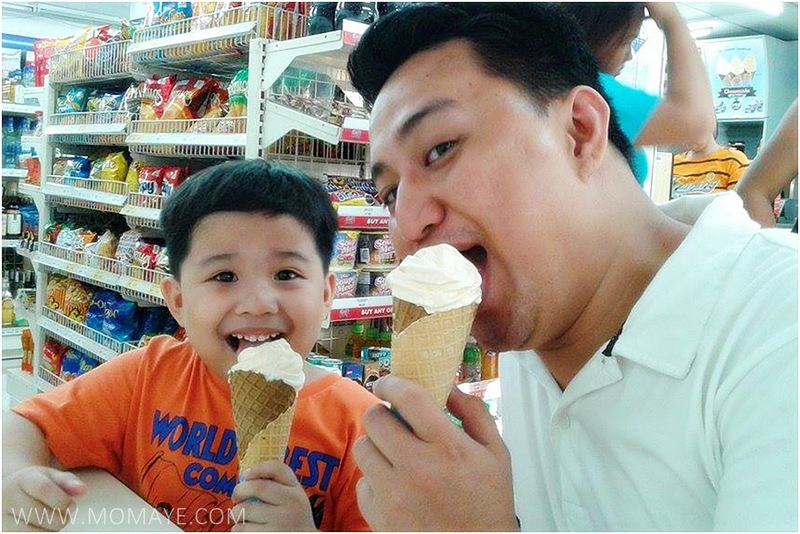 Ajinomoto Philippines Corporation (APC) is an affiliate of Tokyo-based Ajinomoto Co., Inc. Established in 1958, APC lives by its promise to provide consumers products that will always give the delicious taste to healthy and nutritious meals as embodied in APC’s slogan Ajinomoto® “Eat Well, Live Well.®” APC’s complete line of quality food and seasoning products are produced by international affiliates and local toll manufacturers using Ajinomoto’s license, quality standards and technological expertise. 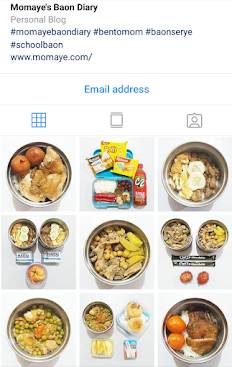 APC’s products include AJINO-MOTO® Umami Seasoning, Ajinomoto® Brand Ginisa Flavor Seasoning Mix, Ajinomoto® Brand Chicken Powder, PORKSAVOR® All-in-One Seasoning Mix, CRISPY FRY® Breading Mix, CRISPY FRY® Seasoned Crumbs, TASTY BOY® All Purpose Breading Mix, AJI-SHIO® Seasoning Mix, Ajinomoto® Brand Sinigang Cube and “amino Fres-C” Instant Drink Mix. Let me share this must read story about a boy an apple tree. A long time ago, there was a huge apple tree. A little boy loved to come and play around it everyday. He climbed to the treetop, ate the apples, took a nap under the shadow.. he loved the tree and the tree loved to play with him. Time went by.. the little boy had grown up and he no longer played around the tree every day. One day, the boy came back to the tree and he looked sad. ‘Come and play with me’ the tree asked the boy. ‘I am no longer a kid, I do not play around trees any more’ the boy replied. ‘I want toys. I need money to buy them.’ ‘Sorry, but I do not have money.. but you can pick all my apples and sell them. So, you will have money.’ The boy was so excited. He grabbed all the apples on the tree and left happily. The boy never came back after he picked the apples. The tree was sad. One day, the boy who now turned into a man returned and the tree was excited ‘Come and play with me’ the tree said. ‘I do not have time to play. I have to work for my family. We need a house for shelter. Can you help me?” Sorry, but I do not have any house. But you can chop off my branches to build your house.’ So the man cut all the branches of the tree and left happily. The tree was glad to see him happy but the man never came back since then. The tree was again lonely and sad. One hot summer day, the man returned and the tree was delighted. ‘Come and play with me!’ the tree said. ‘I am getting old. I want to go sailing to relax myself. Can you give me a boat?’ said the man. ‘Use my trunk to build your boat. You can sail far away and be happy.’ So the man cut the tree trunk to make a boat. He went sailing and never showed up for a long time. Finally, the man returned after many years. ‘Sorry, my boy. But I do not have anything for you anymore. No more apples for you’ the tree said. ‘No problem, I do not have any teeth to bite’ the man replied. ‘No more trunk for you to climb on’ the tree said. ‘I am too old for that now’ the man said. ‘I really cannot give you anything.. the only thing left is my dying roots’ the tree said with tears. ‘I do not need much now, just a place to rest. I am tired after all these years’ the man replied. ‘Good! Old tree roots are the best place to lean on and rest, Come, come sit down with me and rest.’ The man sat down and the tree was glad and smiled with tears.. When I read this story, I was touched. It's the story of everyone and the apple is tree is like our parent. When we were small we love to play with our mother and father. They are our world. So true because I am seeing that now with our son. 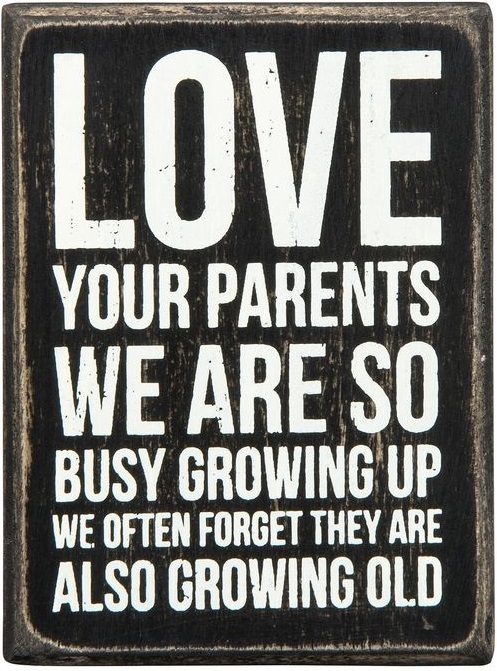 Then we grow older and have our own world that we often forget our parents. I am guilty as I look at my mother. I regret the days when she was still young and lively but I have no time for her. I am busy building my life that I forgot the person whom I owe who I am now. I know I cannot pay all her sacrifices for us but I hope she can feel how much I love her. And even if she can't recall my name, I promise to be with her until her last breath. I hope this story reminds you also that yes, our parents will always be there for us. But don't forget that they are getting old and time will come that we will not find them at the place where we always leave them. Make them feel our love and give them our time. For we cannot tell what tomorrow will be.